Back in early 2014 we needed to wind our first core. We tried to do it by hand, but after 4 hours and only 100 turns (need 7000 turns total) we surrendered and made our first call to the nearest toroid winding company, Torelco. A quick response and some questions to our email inquiry, and Matt Peterson said he thought they could do the job (although they weren’t told at the time exactly what we were doing with the wound core). We stayed 1 night in a hotel and went home with the first fully processed QEG core, including the mica insulation we had stayed up the entire night before assembling. Finding a willing manufacturer for such a device as the QEG core was a miracle, and really the only winding company we could travel to often if need be. When we opensourced the build manual in April that year, Torelco stepped up to the plate and fulfilled orders for fully processed cores. Since then, people all over the world have been finding ways to build cores and other parts, even toroidal winders! The innovations are astounding! But we realize not everyone can or wants to cut steel and wind thousands of turns of wire. That’s where Torelco can help with your build. They offer a fully processed core and supplemental kit to complete your QEG generator, and also sell all the parts you need separately. You can choose between an epoxied or non-epoxied core, and all orders are delivered to your workshop for a reasonable shipping rate. Generator Core, 12″ OD X 6″ ID, 15″ overall, 3-1/2″ stack, 84 lbs. Core complete. Processed and secured for shipping. Torelco and the FTW/QEG project managers have been working closely together now for almost 2 years developing the QEG technology, best practices, accessibility to people, and lowest prices available for this project. We’re there folks! 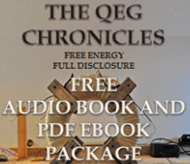 Read more at the new QEG Online Academy: http://www.energyefficientgenerator.com/torelco-winding-co..html. 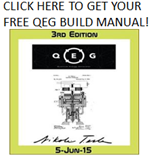 Click around and see the many educational materials available there for the do-it-yourself engineer. Happy Building! 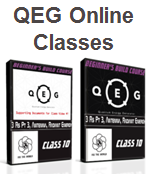 Please visit the new QEG Online Academy. Site-wide opening sale: 40% discount on all educational materials. Naima Feagin (HopeGirl) holds an MBA and a variety of business experience in corporate and government finance and small business entrepreneurship. In 2012, she left the corporate world to build an online business through blogging, marketing, teaching and a passion for humanitarian projects. 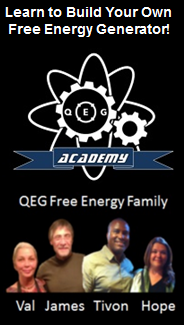 In 2014 her stepfather designed and open sourced a free energy generator prototype. She traveled around the world building free energy prototypes and growing her online business. This is also when she met her partner Tivon. 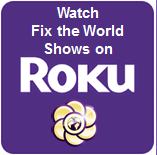 She has played a large role as a public spokesperson for her family’s free energy project. Hope and Tivon also sponsor a local community center for women and children. They are both American ex-pats that live and work together in Morocco.